Sam Watkins, an orphaned young teenager, possesses the ability to read the minds of almost everyone he meets. Howard Lyons, the owner of the orphanage where Sam has lived since he was a baby, has been reluctant to let Sam leave the orphanage. Unable to read the mind of Mr. Lyons, he takes it upon himself to investigate the reasons behind the owner’s decisions and learn more about the origin of his ability, his parents and the potential of his power. However, Sam’s investigation and mind-reading abilities reveal a power struggle at the top of a faltering orphanage between Mr. Lyons and his assistant Natalie. Sam’s involvement in this conflict leads him to look for ways to save the orphanage and uncover the true motivations of both the owner and his assistant while trying to learn about his past. I adored this novel so much. Sam, the protagonist, was a very likeable character and you can’t help but want to see him excel at whatever he sets out to do. When I first started reading the book, it felt like your normal middle grade/young adult novel, but as the novel progressed, I realized anyone could enjoy this book. It was referred to me as “a mystery novel with a difference; a fantasy idea of mind-reading grounded in reality.” When I first started the novel, the mind-reading abilities of Sam did feel like I was reading a fantasy. But as I progressed, it was clear to me this novel leans more toward the science fiction part of the mystery spectrum. I’m not trying to criticize the author’s marketing strategy… just letting you know how I interpreted the book. I give it four stars. Keep reading to find out why. The characters are so lively and I loved the premise. And the plot itself… I don’t want to give too much away, but the author did a great job at drawing in the reader and creating suspense. The villains were crafted so well that it hurt my feelings to learn the truth. The characters tended to exposit… a lot. The book started slow and it took a long time for it to become really captivating. And for some reason the use of the word “orphans” to refer to the children all the time became annoying to me. It just didn’t feel natural for everyone to refer to the children as “the orphans” so much. But, maybe that was just me. 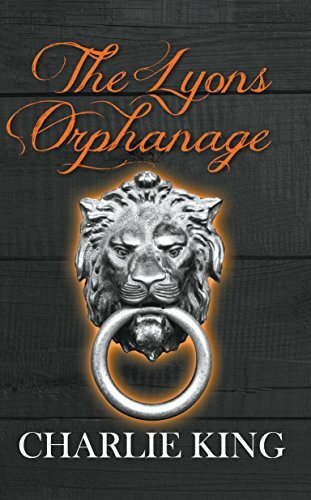 The Lyons Orphanage is definitely worth reading, and I was glad to find out that King has plans for a sequel. I can’t wait to find out more about Sam and his friends and how the orphanage fares. Here is a preview available on Amazon. It is available in both Kindle and Paperback versions. My name is Charlie King. I am a newly self-published author from Croydon having just published my first book, The Lyons Orphanage, and I intend to write more including a sequel. I have had an interest in English and writing ever since I was young and it has stuck with me throughout my education. I have a BA Hons in Journalism with English Language from the University of Portsmouth. 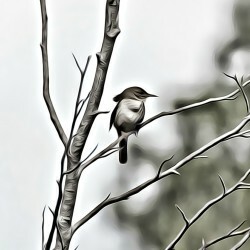 When I finished university, I found that Journalism was no longer for me but I still loved to write so instead I tried to find a non-Journalism related writing job. When that didn’t happen, I went through a stressful job in retail before working where I am now in an administrative role in a law firm. Being content with my job, I found myself motivated to write a book. It had crossed my mind many times over the years; I even tried to write a book a long time ago around the age of ten/eleven but it was terrible and lucky not seen by any eyes other than my own. The thought of that book put me off from thinking I could write a decent book. However, now I am happy to say that I’m pleased with my debut novel. I was surprised of how the ideas flowed into my mind as I was writing it and it was the same for planning the plot of the sequel. Ideally, I’d have loved for a publisher read it and deem it good enough to be published but, in reality, just seeing a book with my name published on it was the main motivation. I’m realistic enough to not expect huge sales, especially working as my own marketer, but if only several hundred people read it and the majority like it, that’s all the vindication I need.